INS Khukri was a British Type 14 (Blackwood-class) frigate of the Indian Navy. 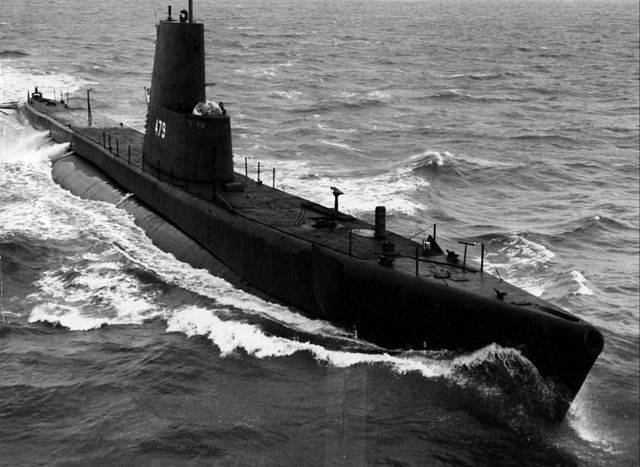 She was sunk off the coast of Diu, Gujarat, India by the Pakistan Navy Daphne-class submarine Hangor on 9 December 1971 during the Indo-Pakistani War of 1971. This was the first warship sunk in action by a submarine since World War II. It remains the Indian navy’s only warship to be lost in war to date. The departure of the British from the subcontinent in 1947 had left the borders of India and Pakistan demarcated fairly well except in the west along the Rann of Kutch where the great Indus river loses itself in a giant swamp with only a few clearly marked outlets into the sea. The northern portion of the border has always been turbulent owing to the invasion of Kashmir’s territory by Pakistan-sponsored tribesmen in a bid to absorb the state, of which the ruler was undecided which way he should accede in 1947. The subsequent war in 1948 resulted in a cease-fire line which has been active ever since. Pakistan, which is a theocratic state, claims Kashmir on the grounds that the population is predominantly Muslim. India rejects this claim as absurd particularly as secular India has more Muslims than Pakistan. The attitude adopted by Pakistani leaders since 1947 has been to focus the attention of its people on Kashmir as a `burning’ issue, thereby attempting to weld them together as a cohesive small nation threatened by a big bullying neighbour. In early 1965, the ill-demarcated border in the Rann of Kutch was the scene of a fire fight which was later taken to the world court for adjudication. By May of that year, the month before the monsoon breaks, it was clear to the armed forces of both countries that the possibility of a conflagration existed and normal states of readiness were raised by each service according to its own procedures. These realistic steps were taken by everyone with the full knowledge that the border question in the Rann of Kutch was a red herring, a minor diversion intended to distract attention away from the real issue, which was Pakistan’s attempt to annex Kashmir. Immediately after the monsoon began to peter out in northern India, Pakistani infiltrators in large numbers slipped into Kashmir where their co-religionists promptly gave them up to the Indian authorities. This operation, which had been planned and executed in secrecy from Pakistan over a number of months, failed catastrophically. To pull the chestnuts out of the fire, a regular Pakistan army blitzkrieg was launched opposite Jammu, with the intention of cutting the only Indian road link to Srinagar, the capital of Kashmir. The possibility that this strike would succeed was real. The Indian army leadership had to launch a counteroffensive opposite Lahore to outflank the Pakistani thrust and relieve the pressure on Jammu. The war, although anticipated to some extent as a possible long-term outcome, therefore actually occurred in a time and place that initially caught the Indians, and later the Pakistanis, by surprise. The war, as an instrument of state policy, in this instance, was far from the sea, was fought over disputed territory and neither side had great staying power economically or industrially. The stamina of both sides was further reduced by the consequent international arms embargo imposed at the outbreak of war. What kind of a sea war could have influenced this conflict? The Pakistan navy had a modest destroyer force, was in the process of inducting one submarine from the US and had its own integral maritime reconnaissance aircraft. 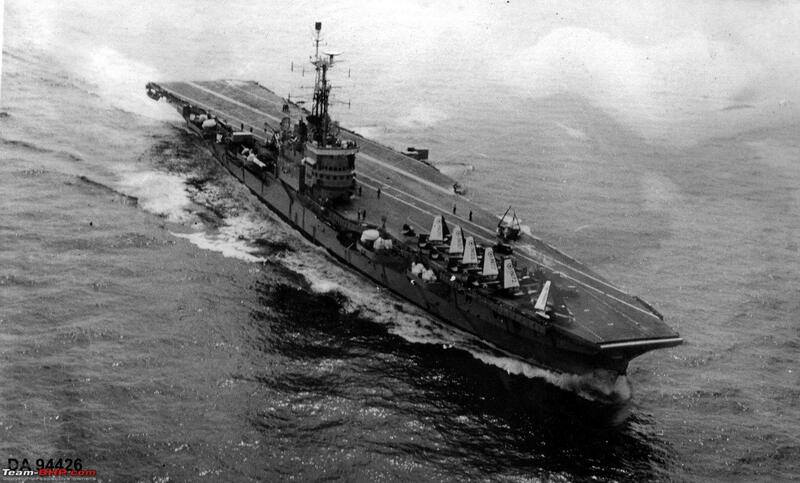 The Indians had a larger navy, centred around the small carrier Vikrant supported by new anti-submarine and AD frigates-a navy which was a miniature version of a sea-control navy, modelled around the British concepts of maritime strategy. Whatever may have been its operational directives, neither fleet saw action, being content to protect the areas in which their own merchantmen plied. 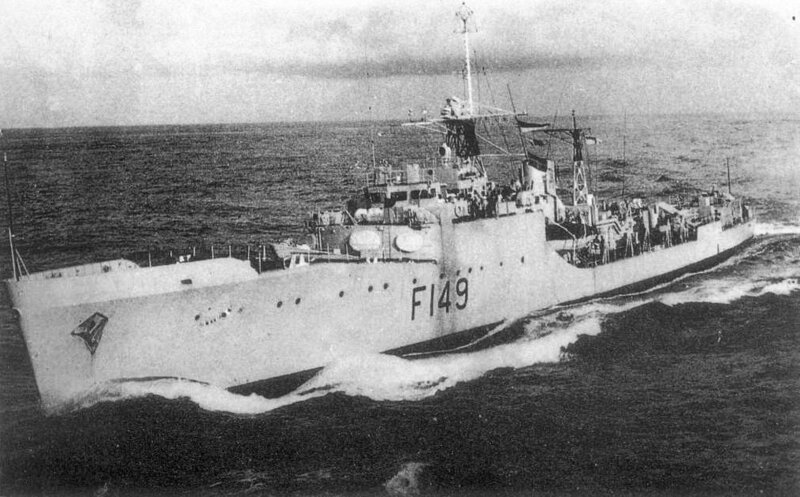 A Pakistan destroyer which lobbed a few shells on to the Indian coast in a high speed night sortie was the one night sensation of the naval war. Naval control of shipping and contraband control was attempted, but was not stringent enough to cause substantial economic damage. A debrief of the war, certainly in India, showed that the comparative lack of action at sea had been caused by certain automatic adherence to a maritime strategy which spoke of sea control, commerce protection and other well-established principles of maritime warfare, the tenets on which the sea war in World War II had been conducted. Having been taught by the British, the Indian navy had also accepted many of the precepts on which the British Commander-in-Chief of the Navy (on loan to India in 1947-48) had formulated his plans for building the future navy. Explanations to the non-naval authorities on the undramatic role of the navy in the war, which ran into arguments on sea control and commerce protection, were politely disbelieved. Questions on the relevance of sea power in the kind of conflicts that India would fight in the next 25 years were also raised. These queries could naturally be expected to have an adverse effect on the allocation of resources for the future navy. These facts need to be understood as the background for the war which occurred in 1971. Pakistan, which had a western wing and an eastern wing separated by 1,000 miles of India, soon found itself fighting to preserve its unity as a nation, when the eastern wing wished to secede. The trouble erupted over the fact that the eastern wing felt economically neglected, a situation which they felt they could correct if their superior numbers could elect a majority in the combined parliament. This would influence the subsequent allotment of cabinet portfolios and allocation of central resources. West Pakistani elected representatives would not agree to a straightforward democratic parliament, and the civil strife in East Pakistan was suppressed with appalling brutality. Over ten million refugees migrated to India, a number far too large for India to absorb. When the United Nations and the world seemed unconcerned with the problem, the only solution appeared to be Indian intervention. This situation continued for the major part of 1971 after the initial suppression of civil revolt in the former East Pakistan occurred in March/April. In this instance, too, the armed contestants on both sides were fully aware of impending hostilities for almost six months and had sufficient time to work out detailed strategies. The war broke out with a Pakistani attempt to carry out a preemptive air strike against Indian airfields in the west, and then both sides executed well-planned orders. All wars are unusual, but this one had its own special features, especially from the maritime point of view. The aim of the war would obviously be achieved only by soldiers in the eastern wing. However, an irrelevant land war would be fought in the west too, rather like a fishing expedition, to see what territories could be grabbed for use as bargaining tools at the end of the war. There were, therefore, two continental wars proceeding simultaneously, separated by 2,000 miles of ocean. For India it was therefore possible to exercise the classic role of sea control, encompassing sea denial, between the wings, but what could be the navy’s role in the wars in the wings themselves? For Pakistan, a successful defence in the east made sea communications between the wings an imperative, but this was so hopelessly impossible that it was not even attempted except by a couple of blockade runners which were captured and impounded. The land war in the east lasted 11 days; the Pakistan navy fought, knowing it had no hope of help or reinforcement and no route of withdrawal. The fact that the sea was hostile must have played a major part in the psychology of Pakistani field commanders in the east. Although no major sea battle took place, Indian carrier-borne aircraft crippled or sank all available shipping in East Pakistani harbours. The absence of major battles illustrates the classical Mahanian observation- that unobtrusive application of sea power achieves the end result in such an imperceptible fashion that the effect of sea power needs to be overemphasised for it to be understood. The Indian maritime strategy in the east was in sharp contrast to the strategy in the west, where an Indian flotilla of Petya class vessels towing Osa class missile boats attacked Karachi harbour and sank all vessels encountered there. The dramatic effect of the `enemy’ main base being battered so captured the imagination of the Indian government, the bureaucracy, the services and the people that the navy never had to explain what navies are for! The Pakistani navy, forever kept short of funds by the ruling army generals, eventually had a manpower ratio to the army of 1:45, making it the most unfavourable in the world. This statistic also proclaimed that in the strategic concepts prevailing in Islamabad in its pursuit to annex Kashmir, and in the inevitable bloody continental war with India, the Pakistani navy would play no role. The Indians, on the other hand, have continued to build a balanced navy and should a continental war erupt once more, would have considerable time and experience in attempting to solve the question of how a navy can contribute to a continental war. From having learned that a pure ocean-oriented maritime strategy does not affect the outcome of a critical land war, India has learned that a pure Mahanian strategy is not relevant in the context of a land war over disputed territory. Then, what sort of strategy is? The uneducated section of the country can be satisfied by some action, any action. This takes care of the largest interest group- the people. What about the professionals? What about the pressures generated among the armed forces themselves over the pursuit and achievement of a common aim? This is a problem with which sea-going professionals in the subcontinent will have to grapple. It will be interesting to see what answers are found to all these questions; in fact, whether any answers will be found at all. What is evident is the need for a search, which may lead to the answer that other navies in similar situations also seek.